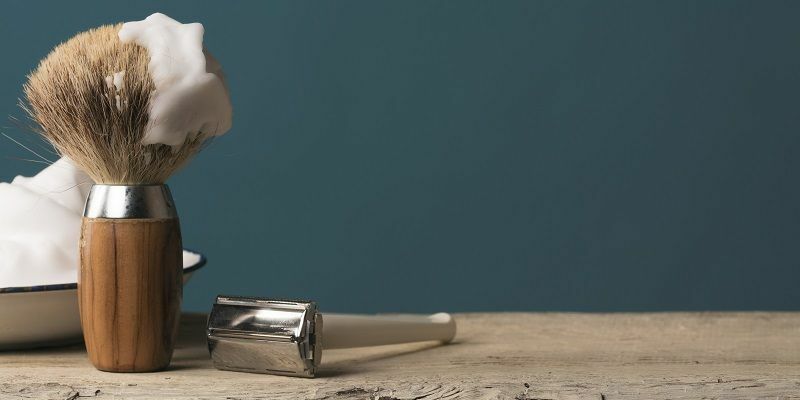 When it comes to safety razors, you know that shiny, chrome look that makes it feel authentic, traditional – like Teddy Roosevelt has just stepped out of a time portal and given you something to clean your face with. Some of that is due to aluminum or even some non-metal compounds painted chrome, but the real deal are stainless steel safety razors. Stainless steel not only lasts longer, it’s better on your face, better on the blade, and will basically guarantee that it’s the last product you’ll ever have to buy if you’ve decided to ditch your electric razor. With that in mind, we thought we’d give you a little tour around some of the best stainless steel options around; if you crave the genuine article, you’ll want to keep reading. Why a Stainless Steel Razor? Aesthetics aside, a stainless steel razor is better than your normal razor because it will have a bit more weight. You’ll feel it better in your hand and you’ll have better control when shaving. The heft against your face will also help getting a closer shave. If you seem to be perpetually battling a five o’clock shadow or ingrown hairs, a stainless steel razor will get you a better shave than, say, a mass-produced razor made of plastic. Stainless steel razors use sharper blades that make it easier to cleanly cut through hair. This will reduce razor burn and obnoxious ingrown hairs. Aesthetics included, well, just look at them. They’re beautiful. Let’s quickly explore the difference between stainless steel and chrome plating. When your razor is made from stainless steel, the whole thing is made from stainless steel. If you were to cut the handle in half, you’d see that the center is made from the same stuff as the outer-most part. Chrome, on the other hand, is a plating. Think of chrome as the thin candy shell around your favorite chocolate candy. If you were to cut a chrome-plated razor handle in half, you’d see that the center was made from a different metal or alloy and the shiny chrome was only a thin layer on the outer-most part of the razor. Depending on the quality, chrome plating may come off over time. If the material underneath isn’t stainless steel, you’re going to have a whole lot of rust problems that will destroy the looks and functionality of your razor. While chrome plating alone certainly has it’s uses, and is even preferable for automobile parts, there is no denying that a stainless steel razor is the only tool to get if you’re looking an authentic appliance that give a superior shave. A chrome-plated stainless steel razor is guaranteed to be the shiniest, mightiest, and handsomest shave tool ever conceived by humankind. Keep in mind that stainless steel, although it won’t easily rust or corrode when it comes in contact with water or moisture, is not impervious to staining – especially around salt or without proper air circulation. Stainless steel contains at least 10.5% chromium that helps keep it from rusting when wet or around humid conditions. That doesn’t mean that you can be careless with your razor and expect to have it look as good as the day you bought it. After you shave, for God’s sake, don’t leave your razor on the edge of a wet sink after you shave. It might behoove you to invest in a proper safety razor stand. It will not only give your razor a safe home up and out of any water that might accumulate after a shave, but it also acts as a display case to show off your handsome tool. If you live on the coast and have to battle with salt in the air, consider finding a stainless steel razor with a higher chromium content – at least 13%. When looking at stainless steel shaving products, you’re going to notice quite a few on the more expensive side. This is definitely understandable, due to the higher quality and durability of the metal. After all, you’re not buying a tin can with a blade on it, but a high-end piece of equipment that, if you take care of it, just might last you the rest of your life. The Seki Edge Feather is one such pricey piece of steel; at $175, it’s possibly one of the most expensive stainless steel options out there. Still, for the elegance and efficiency of its construction, I’d say it’s well worth the price. It shaves like an absolute dream, and its handle design is the standard stippled texturing that doesn’t muss about with fancy shapes and ridges. This product simply focuses on doing its job, and boy does it do it well. Merkur is a pretty big name in the stainless steel shaving business, with quite a few products on the market. The Futur is one of their many stainless steel models, and they give it a bit more of a minimalist look. It features a very bright stainless steel, with rounded edges and beautiful curves – the only thing you’ll be nicking is (maybe) your skin with the blade. At $86, it’s still pretty pricey for a stainless steel safety razor, but the quality of the shave and the loveliness of the design are well worth it. The title of the product is no coincidence; the design looks futuristic, as if a robot decided it needed to shave its cyber-beard one day and made a razor to do it with. It’s probably one of the sleekest pieces I’ve ever seen in terms of appearance, and it’ll really make an impression on anyone who sees it. The best part about the handle is its total lack of texture, while still not slipping out of your hand. If you want a razor that’s dramatically different from anyone else’s, the Futur is your best bet. If you don’t want to push the boundaries of wet shaving fashion too much, you could probably try one of Merkur’s more pragmatic-looking stainless steel blades, like the 34C. This looks a bit more like your standard safety razor, with the stippled texture, the slightly shorter but stouter handle, and the rounded top to the butterfly case on the head (which secures the blades). While it may not look like much, it’s a brilliant middle ground for people wanting stainless steel shaving without having to break the bank. It’s only about $43; that’s only ten dollars or so more than your average non-steel option. Sticking with the Merkur a little bit longer, this double edge razor is frighteningly similar to the 34C, but has a longer handle. In fact, the handle is remarkably long; this one is ideal for those guys who just need that extra reach and flexibility of options when shaving. If you really need to get down in there, you still can grip the textured handle closer to the guard; if you want to take long, painterly strokes down the length of the chin, you can hold it closer to the end. If the weight is something that really draws away from stainless steel optoins, you might want to take a look at the Misaki Pro. It’s a personal favorite of mine, and it’s got a bit shorter handle than the SV-05X, and is quite a bit heavier. You might just feel the need to cleave your foes in twain when you hold this, but it still gets the job done nicely. The handle is made of full stainless steel, but won’t ask you to run to the gym just to work up the muscles to hold it. The Misaki’s blades are especially sharp, which makes for some nice, close shaves, and the grip itself is really, really comfortable in your hand. At about $25, it’s one of the more affordable options out there for people seeking out something a little heftier in their safety razor experience. Not good enough for ya? Check out these awesome resources!